I absolutely hate micromanagement. It stresses me out and it makes me feel like I’m back in Kindergarten again. Having said that, there were times when my co-workers and I would be doing some serious time-wasting and I would think, “Man, this would really annoy me if I were a manager.” So, where do you find a middle-ground to keep employees on track while maintaining their independence? Meet DeskTime, the product designed to increase productivity and help employees perform at their full potential. 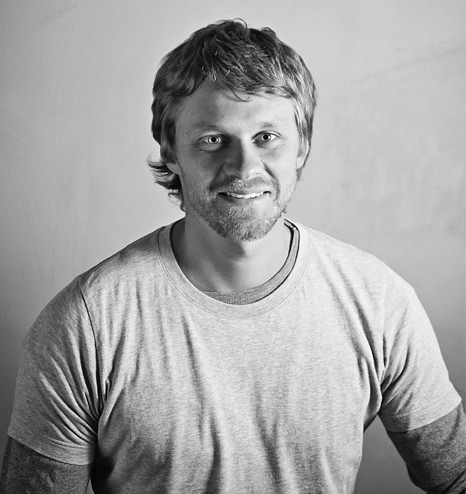 We recently caught up with Lauris Liberts, startup founder and co-owner of the Draugiem Group. 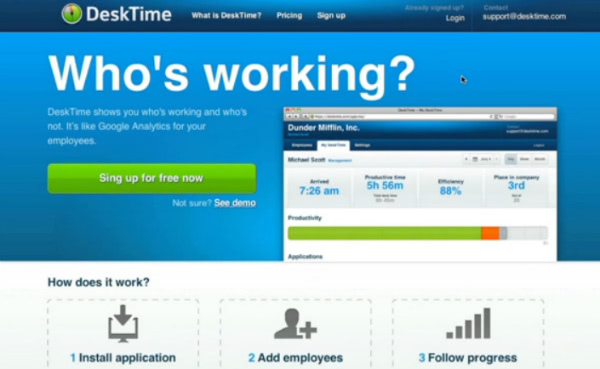 Liberts and the Draugiem team originally built DeskTime as an internal tool to help manage their many employees. DeskTime is now used by more than 15,500 people in over 90 different countries. The software has been used to track more than 2 million hours, and counting. Liberts tells us why in this exclusive interview. Tell us a little more about what inspired DeskTime. 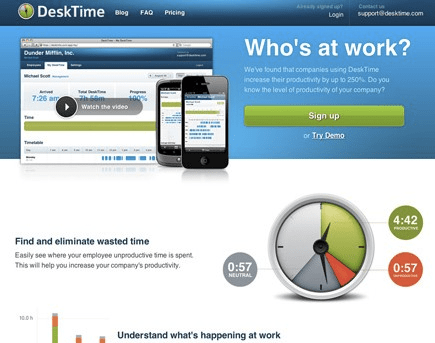 DeskTime was first developed as an internal tool for the Draugiem Group. The group was growing so quickly, that it was getting hard to keep track of who had arrived at work, who’s late, and who’s actually working. So DeskTime was born. We realized that if we’re having this problem, then chances are that others are having it too! So we decided to make the product publicly available. As it turns out, we were right. There’s a ton of companies out there looking for what we have. DeskTime Tour from DeskTime on Vimeo. This is a fantastic tool for managers/employers, but what would you say to employees who may see this as a micromanagement tool? At the end of the day, that comes down to what kind of employer you have. You’ll see the tool through the light that it’s presented to you. For example, at our office, we make it known that it’s first and foremost meant for your own productivity enhancement – see the time you spend, see where it’s wasted, see when you might have time to grab an extra cup of coffee. But if an employee is constantly missing deadlines, then we’ll look into their time-spending habits to see what’s up. For us it’s important that the employees and managers have a very open relationship, so everyone knows and sees what’s going on. What’s the best/most challenging part of being an entrepreneur? The best part is definitely seeing your product used by other people. Knowing that you made something from scratch, and that it has some value beyond your own eyes. The most challenging part? Getting everyone else so see that value. I would love to pick the brain of Elon Musk. I’d particularly love to know about his decision making process of how he chooses his next project. We’d have my favorite meal – oatmeal with apples and cinnamon and maple syrup. How has being an entrepreneur enriched other parts of your life? Through being an entrepreneur I’ve been able to travel. Most importantly, by having begun so many businesses and having some of them succeed, it’s given me the leisure of time to pursue different interests, have time for my hobby (surfing), and spend quality time with my wife, Inga. How do you keep yourself and your team motivated? What’s your office vibe like? Our office vibe is something we particularly work for and strive for. Our office is really cool. We have an industrial/artistic feel, high tech gadgets (segways, iPad secretaries, and more), free lunch, a nice terrace to chill on, a ping pong table, and lots more. We also have a lot of fun with “company” events. We’re part of the Draugiem Group, and all together every summer we go camping, host this huge country-wide scavenger hunt, and go rafting. Over the winter we created a band made up of employees and performed at our Christmas event. The faster you start a business, the better. What’s the greatest thing about DeskTime? This one feature that practically no one knows about – if you use the “leave a message” function, then there’s a button at the bottom of the screen – “For Display.” It’ll give you a screen of all of the employees at work, and all of the messages that are left. We’ve put this up on a flat-screen monitor on the wall, so you can easily check who’s at work, and when they’ll be back. Can the KillerStartups community help you in any way? Totally! If you want to help out, then give our software a try. (free one month trial – and free for eternity for individual users). Then tell all of your friends about it!